A billing scheme is a fraud in which an employee causes the victim organization to issue fraudulent payments by submitting invoices for fictitious goods or services, inflated invoices, or invoices for personal purchases. Billing schemes are usually classified into three categories, shell company schemes, non-accomplice vendor schemes, and personal purchase schemes. These are fictitious entities created for the sole purpose of anonymity. The companies are usually anonymous hence nearly impossible to track the money going into and out of their accounts making them even more reliable in committing fraud. An employee wanting to commit fraud would simply forge an invoice for fictitious goods and services in order to source money from the victim organization. Common red flags to this kind of fraud include a lack of detail on the fraudulent invoice, mis-numbered or consecutively numbered invoices, and the lack of a physical address on the invoice. 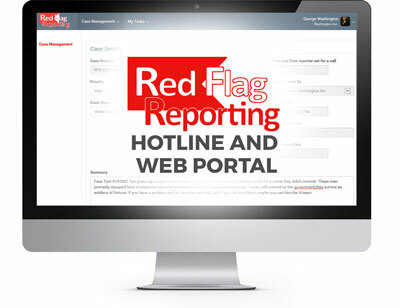 Evidence of shell company schemes can be detected by sorting payments by vendor, amount, invoice number and address to identify red flags. The fraudsters use invoices in the name of existing vendors to generate fraudulent payments. The fraudster may study the victim organization’s vendor list and delivery patterns and fix invoices in the name of a particular vendor hence tapping money from the unknowing organization. In order to detect this kind of fraud, efforts should focus on comparing mailing addresses or electronic payments info within the records of individual vendors. Additionally, search for duplicate payments because one invoice may be used as support for two payments. Duplicate payments should be searched for by invoice amount, not just check amount, in order to uncover duplicate payments masked by individual checks being used to pay for multiple invoices. A personal purchases scheme is one where an employee buys personal items with his/her company’s credit card or purchasing card. In cases of such frauds, the employee signatory of the company’s purchasing card benefits the most, he/she can easily buy any personal item with the card. In strict cases, the cardholder may exaggerate the prices of business purchases so as to cater for his/her expenses. This can easily be detected by comparing card statements with employee expense vouchers for duplication, monitoring card expenses for an unexplained increase in purchasing levels and tracing back excess purchases to a particular cardholder. Maintaining strict separation of duties in the purchasing process makes it increasingly difficult for an employee to commit most forms of billing fraud like in cases of shell company schemes. By maintaining and regularly updating an approved vendor list, the legitimacy of all vendors can be verified by a person independent of the purchasing function. In cases where invoices are received from vendors not on the list, independent verification of that company should be required prior to paying the invoice. This is easily prevented by monitoring purchasing functions controls, such as being alert to the vendor’s mailing address or electronic payments and verifying the vendors billing address before sending an invoice. Also, be alert to duplicate payments. One can also go further by phoning the vendor to verify the genuineness of the invoice. Person purchases schemes can be minimized by conducting a thorough review of each credit or purchasing statement. This duty should be performed by someone independent of those who have signature authority on the account. For each listing on the statement, a business purpose should be verified and the person who incurred the expense should be required to provide the original support document for the expense. Credit cards of the business should also be established with spending limits in order to prevent the large and unnecessary expenditures. Through relatively minimal effort, billing scheme frauds can be detected early, thus minimizing damages. Remember, often when such schemes are in play there are non-participants who are aware. Empower your employees to speak up, whether via your open door or your employee hotline.